Panama is the world’s #1 retirement haven…the world’s top offshore haven…and an international banking center. Its pensionado program of special benefits for foreign retirees is the Gold Standard. As a foreign resident, you can pay zero local tax. Panama is one of the best places in the world right now to start a business and one of the easiest places to obtain foreign residency. Plus, outside Panama City, this beautiful country hides the smartest beach, river, and mountain property buys anywhere on the planet today. Panama is a land where the cost of living is low…the standard of health care is excellent…and where the climate can be idyllic (outside the capital…in the beautiful mountains of the interior). Plus an economy that has grown more than 8% a year for the past five and that, despite current worldwide market meltdowns, continues to surge ahead. Panama is a land of superlatives…a beautiful country and an expanding economy overflowing with opportunity. In fact, Panama almost has too much to offer. No question, you should be looking closely right now at this little country with such an abundance of upside. But, when you do…and the closer you begin to pay attention…the more confused you’re likely to become. In fact, one beautiful hidden spot hides such an idyllic way of life we’ve named it the World’s Top Retirement Haven. Beautiful…and welcoming. Those are the two words of description that come immediately to mind here. The expat community lives closely and happily as part of the community as a whole, with an active but not “separatist” social life. The focal point of activity is the covered market pavilion, where you can shop for fresh fruit and vegetables every morning. The town clinic is staffed 24 hours a day, and a doctor’s appointment costs about US$2. You’re 45 minutes away from more serious care and ambulance service to the city, where health care is on par with U.S. and European standards…but costs about half as much. Surfing, snorkeling, fishing, diving, boating…in all seasons (for Panama sits beyond the hurricane zone)…this little country is a water-enthusiast’s dream come true. Mountains…beaches…plus the most cosmopolitan city in the entire region. You’ve heard it before, but it bears repeating. Panama’s capital is without peer in this part of the world. Nowhere else in these parts has the infrastructure, the shopping, or the nightlife to compare. For more than 100 years, the Panama Canal has linked east and west, north and south. As a result, a multitude of nationalities have shaped the country that it traverses…meaning this little nation is a real melting pot, with the cuisine, the nightlife, and the culture to prove it. This is a land of unsurpassed outdoor adventures…where you can dive two oceans in a day, glide through the jungle canopy, ride the white waters, hike through a cloud forest, rappel off a rock cliff, and fish in waters teeming with marlin, tuna, wahoo, and sailfish. More sport-fishing records have been set in the waters off Panama’s shores than anywhere else in the world. Panama is also a world of cultural opportunity, with ballets at the restored National Theater…dances to traditional Congo music…historic Spanish forts…and world-class dining in atmospheric colonial buildings. Outdoors-enthusiasts and nature-lovers are at home here…as are the savvy and the sophisticated. Panama is an open-minded, progressive place. The government offers investment laws far more beneficial than anything in the United States, for example…there is little racial tension…health care is available for both nationals and foreign visitors…the economy is strong…luxuries and comforts beyond reach in the U.S. are affordable here. After nearly 25 years covering this live, retire, and invest overseas beat and more than a decade living outside the States, I could be living and doing business anywhere in the world right now. Last summer, my husband and I relocated from Paris, France, to Panama City, Panama, because, frankly, right now, Panama offers more opportunity than any place else on the planet. In a world where markets are shrinking, businesses are downsizing, unemployment rates are rising, and investment opportunities are evaporating overnight…Panama pushes ahead. Thanks to its unique history and its enviable geographic position, Panama continues to offer what so much of the rest of the world just can’t right now: a chance. I’ve seen a lot of this world, and I know no other place boasting such diversified options, opportunities, adventure, and upside as we head into this New Year 2009. My Panama is frenetic Panama City, where I enjoy wireless Internet and global telecommunications without interruption, an international banking infrastructure, top-notch attorneys and bankers when I need them, an educated and English-speaking labor pool, a low cost of doing business, zero currency-exchange worries, and all the support I could ask for as I work to build a business. My husband’s Panama is a stretch of beautiful Pacific coastline in an until-now overlooked region of the country that is beginning to attract the international attention it deserves. He’s reaping the benefits of a market that offers comprehensive resources for the property investor (not to mention some of the world’s most primo property to think about investing in in the first place! )…plus the active, growing marketplace to make it all pay off. Indeed, despite slowdowns and meltdowns elsewhere, Panama’s economy continues strong, expanding quicker than most any other in the world. The canal, the ports, and the Colon Free Zone have benefited greatly from regional and international trade expansion over the past several years. Meantime, the construction industry has boomed, and the financial sector has expanded. Unemployment has fallen to an unprecedented low. The country is mid-boom…there’s just no other way to describe it. Its economy expanded by more than 11% in 2007…and that following an average annual growth rate of nearly 8% during each of the preceding three years. The surge continued through 2008 (projected economic growth rate for the year is at least 8%), global market and fiscal fiascos notwithstanding. The Panama Canal expansion project is in full swing…a new highway is being built between the country’s two main cities, Panama and Colon…and downtown in the capital is being completely reconfigured with a new, widened central thoroughfare, a city bypass system, and a broad, grassy stretch of parkland along the bay. Lief and I are here to take advantage of unparallel business and investment opportunities. Again, I can’t imagine a better place to do that right now than Panama. Not Panama City. Many foreigners have retired to the Panamanian capital, but it’s not a take-it-easy retirement of peace and quiet, for Panama City is the farthest thing you could imagine from peaceful and quiet these days. In other words, Panama City probably isn’t your idea of an ideal retirement haven. But beyond its capital, the retirement options in this country are hard to beat. “As our little bus reached the edge of the volcanic crater, we were stunned by the most spectacular view…360 degrees of jagged, 1,000-meter-high mountains covered in humid cloud forest, tumbling down to the flat but equally green and fertile crater floor. We believe El Valle, as it’s called locally, offers the best choice you’ll find anywhere for peaceful retirement living…but it’s certainly not the only option here in Panama. Boquete is probably the country’s best-known foreign retirement option. Here, in the mountains outside the city of David, has developed one of the strongest expat communities in the world. They’re enjoying the good life in these beautiful hills covered with coffee plants and wildflowers. As in El Valle, the temperatures are cooler than in Panama City…the humidity much less a concern. The setting is picture-perfect, and you can plug into an existing infrastructure for foreign residents. Life is simple and safe in these spots…a lifetime away from the trouble and angst of much of the world these days. Which beach town might be right for you? It can be hard to imagine. How can a country so small offer so much choice? Bottom line, it does. You hardly know which way to turn. Furthermore, because Panama is hardly an undiscovered overseas haven any longer, any quick Internet search will lead you to dozens…maybe hundreds of resources promoting ever-more Panama opportunities. In the face of this much information, some of it conflicting, how in the world do you decide how to proceed? How do you filter the options? How do you determine what makes most sense for you, given your circumstances, your priorities, and your goals? And what’s a waste of your time? How do you move ahead efficiently? With a minimum of hassle? How do you keep from taking a potentially fatal misstep? You seek advice from the experts. 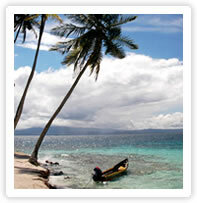 You aren’t going to find anyone who’s had more Panama experience, personal and professional, direct and indirect. We considered all the options and chose to arrange our full-time residency in this country through the Reforestation Visa program. This may not be the best option for you, but it comes with serious upside–an investment in a hard asset that could bring you a solid return over the next 20 years. In all, this country offers 14 options for obtaining a residency visa. We’ve researched them all and understand the advantages and the downsides in each case. We’ve traveled this country from coast to coast and from east to west…by plane, boat, helicopter, motorcycle, horseback, and four-wheel-drive SUV. What’s the point of all of this for you? We’ve spent the past six months assembling our collective experience into the most complete, current, and up-to-date guide to identifying, considering, thinking through, and filtering all the options in this Land of Opportunity you’ll find available anywhere. Yes, I know, that’s what everyone with a Panama resource to sell says. For now, you’ll have to take my word for it. You’ll understand once you’ve seen the tome we’ve put together. As I’ve explained, after more than a dozen years spending time, investing, and doing business in this country…we’ve assembled an impressive and far-reaching list of in-country contacts and resources. And, as part of our new Live & Invest in Panama Home Conference Kit, we share it with you. Making a go of it in a new place is all about who you know. Now you know who we know in this country. Our new Live & Invest in Panama Home Conference Kit comes complete with our personal Little Black Book of local contacts, including phone numbers, e-mail addresses, sometimes even private cell number details. These personal contact details alone make our new Live & Invest in Panama Home Conference Kit invaluable…and, in truth, incomparable. It’d take you years of your time, several trips to the country, and many thousands of dollars invested in travel and research to put together a rolodex like the one featured in the Little Black Book for Panama we’ll send you as part of your Live & Invest in Panama Home Conference Kit. But you don’t have to. You can gain full benefit of our many years of on-the-ground experience…and leverage our investment of both time and money getting to know our way around this Land of Opportunity. Our new Live & Invest in Panama Home Conference Kit is priced at US$99. A pittance for the volume of real-life, real-time, from-the-scene, firsthand information, insights, recommendations, tips, secrets, and discoveries it contains. And, remember, you’re also getting our personal Little Black Book for Panama, as well as Panama 101: 101 Things You’ll Wish Somebody Had Told You About Panama. This is your Panama Primer, everything you need to know before planning a visit, an investment, or a new life in the Hub of the Americas…but might not think to ask. Plus, if you take me up on this invitation right now, we’ll also send you our full and current report on El Valle de Anton, the World’s Top Retirement Haven for 2009. 10 questions to ask to help you decide if El Valle de Anton is the right overseas retirement option for you.. This amounts to a more complete and useful package of Panama resources than you’ll find available anywhere else. And, right now, it’s available for only US$99 through this special offer. Panama is 2009’s Land of Opportunity. It is the #1 choice right now for living, retiring, investing, and doing business anywhere in the world. You should be looking closely right now at what Panama has to offer. Our new Live & Invest in Panama Home Conference Kit is the best resource available to do just that. 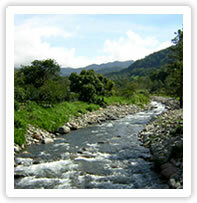 Come, discover this little country with such an abundance of upside. Discover all that it has to offer…and see how you can benefit. Go here to order your copy now.